ITC 03 is a form that is filed in special circumstances when input tax credit that has been availed has to be reversed. Are you a person who opted for Composition scheme this year or has any of the item on which ITC was availed become exempt even before you could utilise? Use ITC-03 to reverse the ITC. 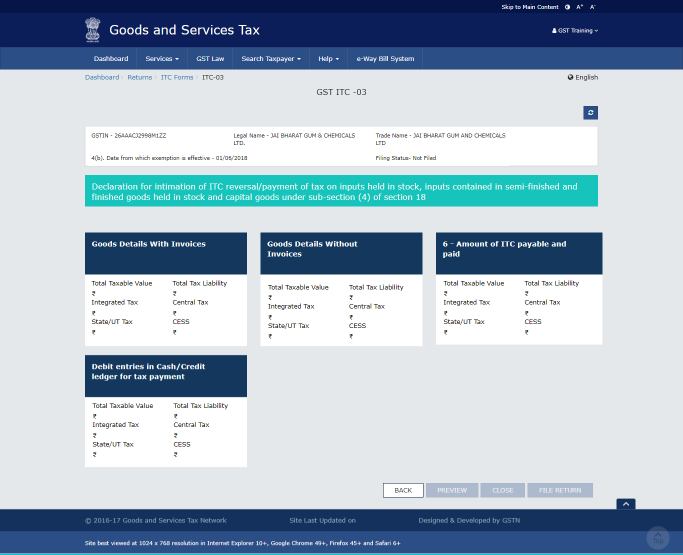 What is GST ITC 03 and who should file it? What are the prerequisites to file ITC 03? 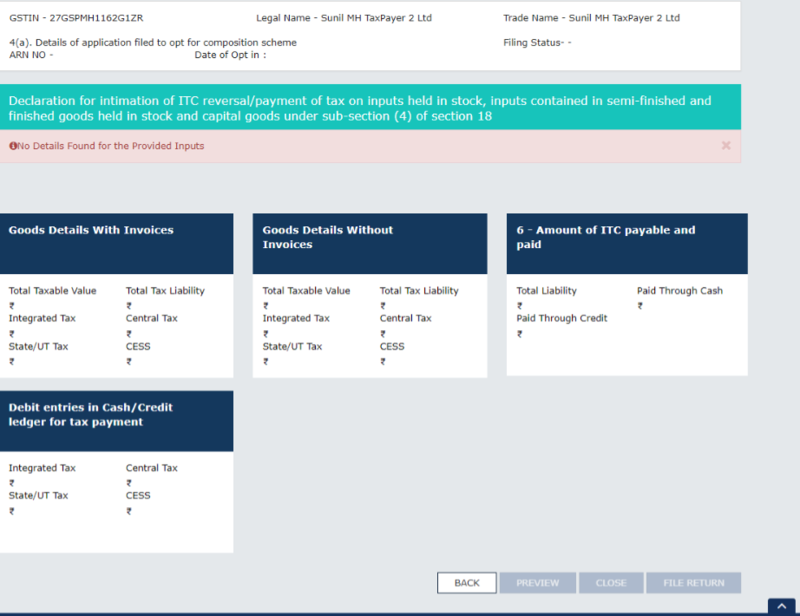 What are the steps to file ITC 03 on the portal? When should a form ITC 03 be filed? What are consequences of not filing ITC-03? The taxpayer should intimate the department regarding opting for composition scheme in CMP-02 at the beginning of the year. The offline utility can be downloaded from the portal and data entry can be made offline. Offline utility (excel sheets) works best in windows 7 with internet explorer 10. Detailed system requirements are available on the website. 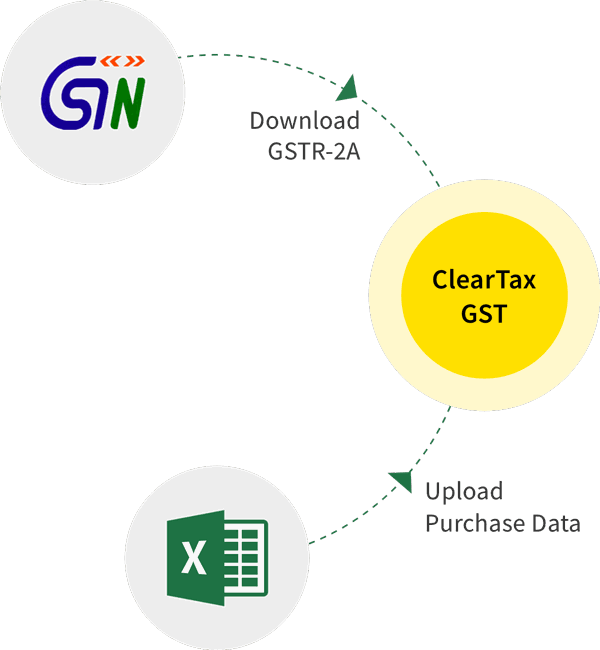 Step 1: Login to GST portal using login credentials. Under ITC-03 capsule, you have either of two modes to file the form. Select either ‘Prepare online’ or ‘Prepare offline’ option. Offline mode: download offline utility on Homepage, fill data, login and upload file after clicking ‘Prepare Offline’. 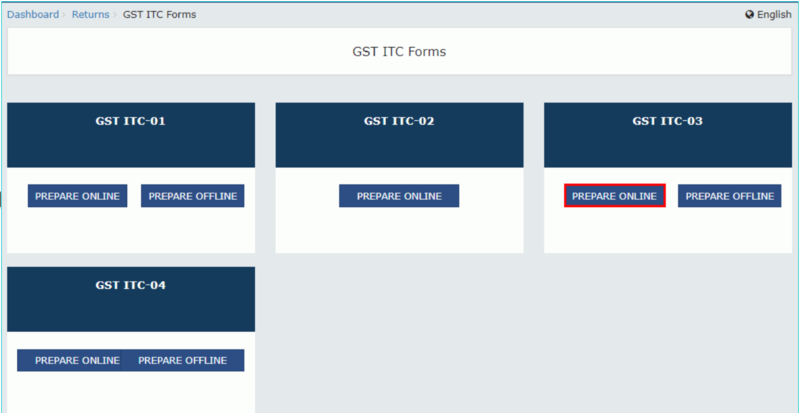 After proceeding with the above selection, the entry screen for ITC 03 opens. Let us now see simultaneously the steps after selecting option 4(a) or option 4(b) above. We can observe from the above, that the date from which exemption is effective has to be filled along with the other basic details and mentioned above. Note that the other options are common between both the selections and has been discussed in the following paragraphs. Step 5: Upload CA/CMA certificate online with name of the person certifying, firm, membership number, certificate date. When some details are added or when invoices are not available with the taxpayer (in this case value of goods will be based on market value of similar goods) a certificate from a Chartered Accountant or Cost Accountant (CA) is mandatory. The input tax credit availed (liability in our case) can be paid off using the availability of credit and cash in the ledger shown above. The column ‘paid through ITC’ is auto-populated by the system but it can be edited. As and when this column changes, the cash column also changes. If the cash is available in the electronic cash ledger, it will get deducted. If not, cash payment has to be made by generating a challan as discussed in the next step. Step 7: Make payment of ITC to be reversed, if necessary. A challan gets generated with auto-populated details of the amount to be paid. This amount can be paid online by NEFT/RTGS or over the counter.The form can be previewed before making the payments for the same. After this, changes cannot be made. Click on ‘Make payment’ option and pay the amount liable. Click on ‘View debit entries in cash/ credit ledger for tax payment to view the updated balance in the ledgers. Step 8: Verify the ITC-03 with DSC or EVC. After making the payment, a digital signature can be attached and the form can be filed. The form can be signed either by using a DSC or EVC. The filed form can be downloaded for future reference. 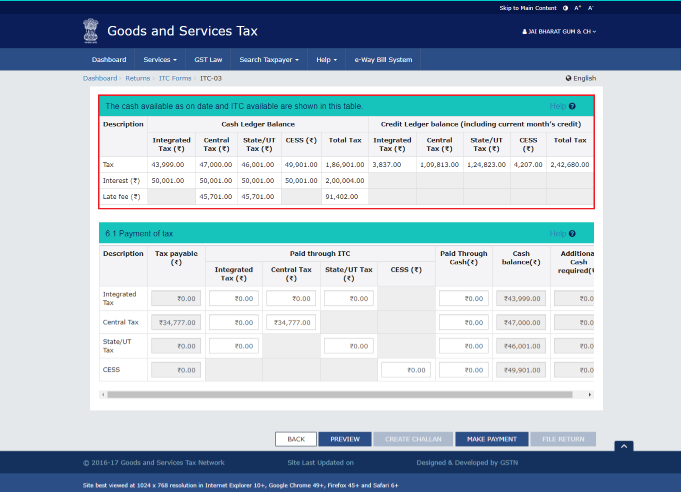 If a taxpayer is filing ITC 03 on account of opting for composition scheme, he should file this form once in a financial year. This is because once he opts for composition scheme in the beginning of the financial year, it cannot be changed till the next financial year. This form has to be filed within 60 days from the commencement of the financial year. If CMP 02 has been filed before March 31 2018, then ITC 03 has to be filed within 180 days of commencement of the scheme If a taxpayer is filing ITC 03 on account of products or services becoming exempt, he should file the form as and when the notifications are issued. In case a composition dealer does not comply with the provisions of the Act, the officer may issue a show cause notice which may lead to denial of the composition scheme to the taxpayer.